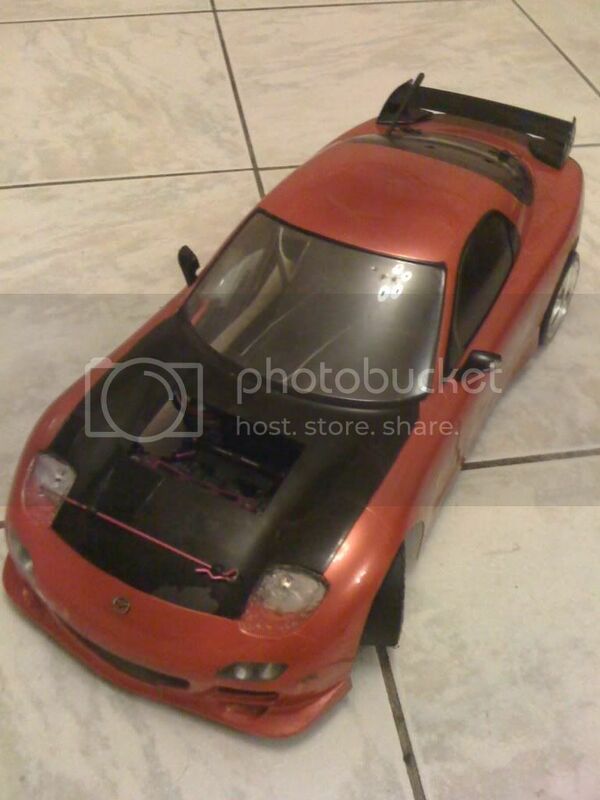 Any R/C drifters on here? Who here knows about Short Course [SC] trucks? Everybody bar Tamiya seems to have one. Team Associated seem to be the only company making an e8 version. Everyone else is doing 2WD or 4WD e10s. designed as a cheap fun build. people are starting to race them becuase of how tough and simple they are. dont handle well, and bounce all over the place out of the box (and spending money upgrading stuff isnt the point AFAIK). kinda like the mini racing thats started up over the past years as a cheap and fun alternative to the TC classes which are very compeditive. size wise it was larger than my 1/8 buggy, really wide body but not much to them at all. hope this helps. talking about the traxxas offerings here - havent seen the AE ones driving in person. I've been looking at the SC trucks some more, and I like the HPI Blitz and TA SC10 [which has the best body shell!]. The Kyosho Ultima SC would be nice, but Kyosho aren't loyal to their customers, and drop parts after a short while, and it has the slowest motor too... 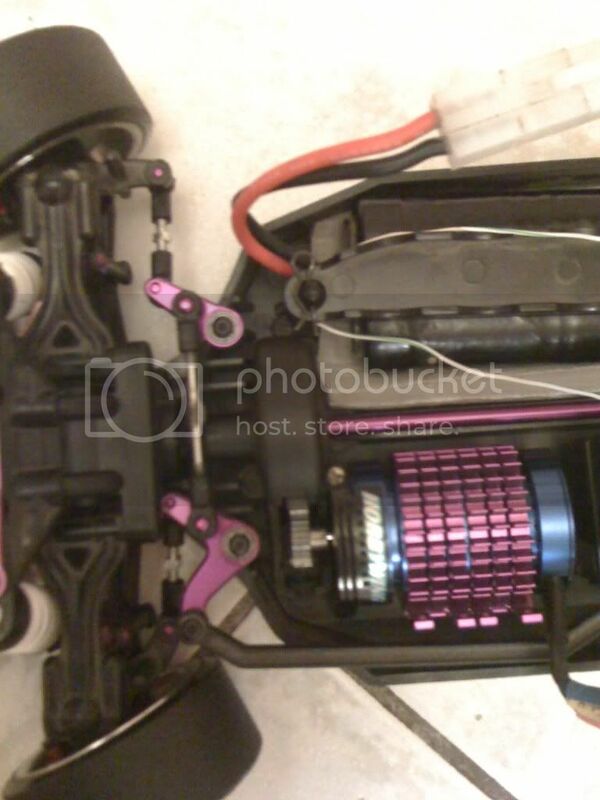 The Traxxas Slash is easiest to get parts for, but I don't like the front servo location, and the chassis looks gay [water resistant receiver case is nice though]. Why spend so much on a drifter? I find you don't need a particularly awesome car to drift successfully, and part of the attraction is how cheap it is. My drifter is way cheaper than my offroad monster truck/buggy/truggy [which I'm trying really hard not to go brushless with...]. So whats a good beginner drifter to buy? In my opinion, a Tamiya TT-01D Cheap, parts a plenty, good for beginners like me! 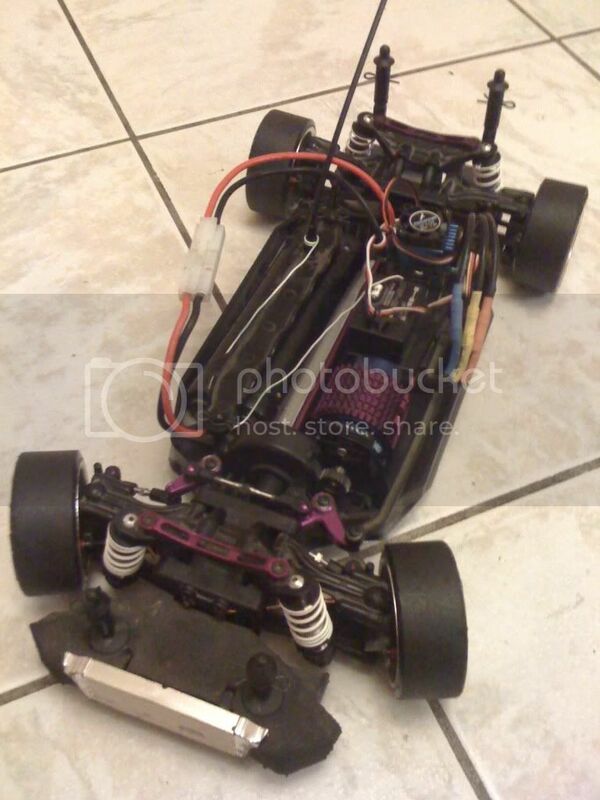 The TT01 or E10 are the 2 cheapest options for drifting but I have to say the best drift chassis I have ever seen is the HPI Pro-D but it is very expensive. Everytime an idiot dies, 20 more are born. Come challenge me. I dare ya. I would suggest TT01D as well. 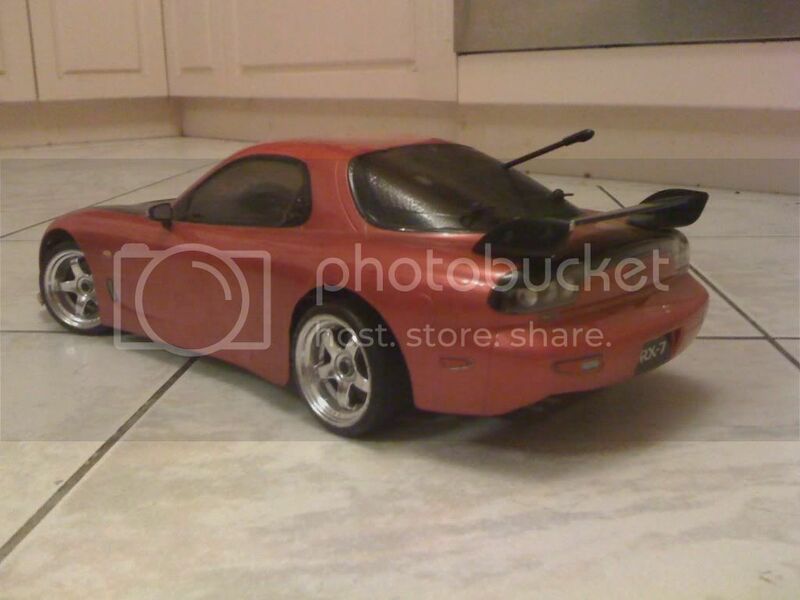 I bought my TL01 in 2001, and adapted it for drift in 2005 [TL01D ]. If I didn't have an on-road chassis already, I would be looking at the TT01D now. Although I wish my current car was a TL01LA. best or best value. personally im always after the best value - but also something compeditive if i decide i want to persue that route. my tc3 spent alot of time sideways and enjoyed it alot - but the attraction with offroad was there. now i dont have the time for weekly offroading decided to persue the on road route and keep my traxxas stampede for indestructable fun offroad! 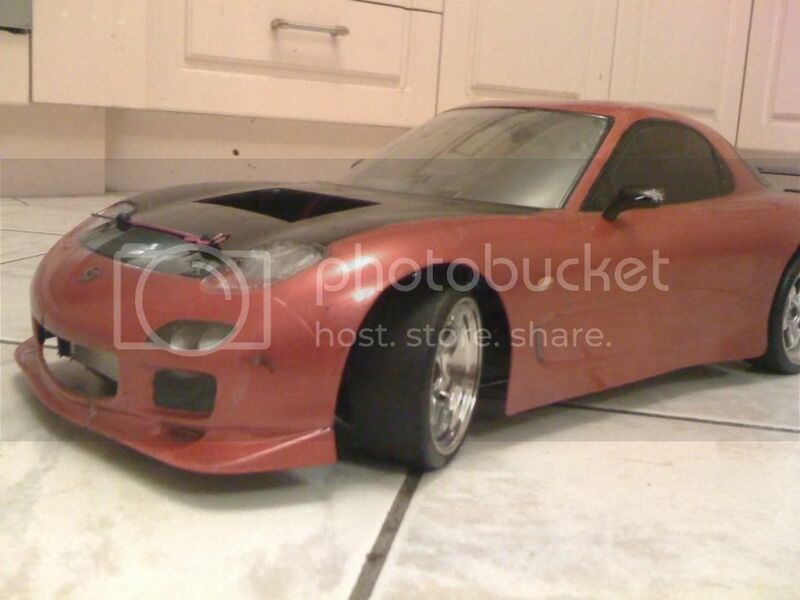 with the money from the b44 ill pickup a 300ish deal with tons of spares and upgrades perhaps even a motor. as ive got escs and batteries coming out of my ears already! for me its not much $$ to buy a new chassis as ive spent 100's on the "extras"
Last edited by spenaroo; 03-05-2010 at 08:29 PM. Fixed my chassis up a bit by replacing the cracked parts, bending the prop shaft back (it isn't the greatest but I will get a new one soon) and installing metal universal joints to replace the plastic dog bones. I also ordered some more purple alloy parts so will be arriving soon. I had to put an old shell on it which is my RX7 but I can't find the LED main power cable so the lights aren't working but it has dual red LED's in the rear, white in the main light area and blue in the park light area. Last edited by RustyKaos; 04-05-2010 at 11:00 PM. Why there a hole in the bonnet? I was making a custom scoop. Will eventually just mesh it in with the front lip as well. As I said this is an old shell that I have had for quite a while now. Last edited by spenaroo; 04-05-2010 at 11:27 PM. Finally replaced the connectors to Deans and got myself 2 lipo packs and charger. Much more response now. Mates rates so paid $100 for the charger and 2x 4000mah 2c batteries.